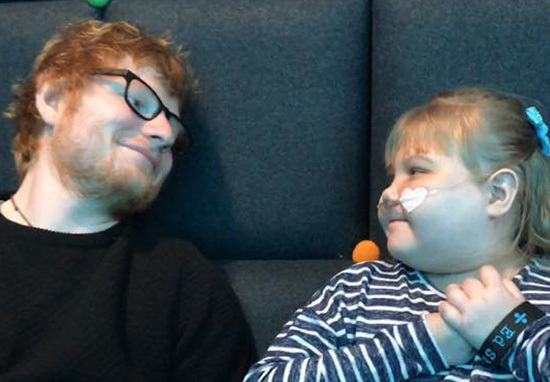 Ed Sheeran is warming hearts again by playing a ‘mini concert’ for a fan of his who suffers from a rare brain condition, meaning she can’t attend his normal shows. 10-year-old Melody Driscoll is unable to walk, talk or use her hands due to her Rett Syndrome, and her parents have credited Ed with ‘keeping her alive’. 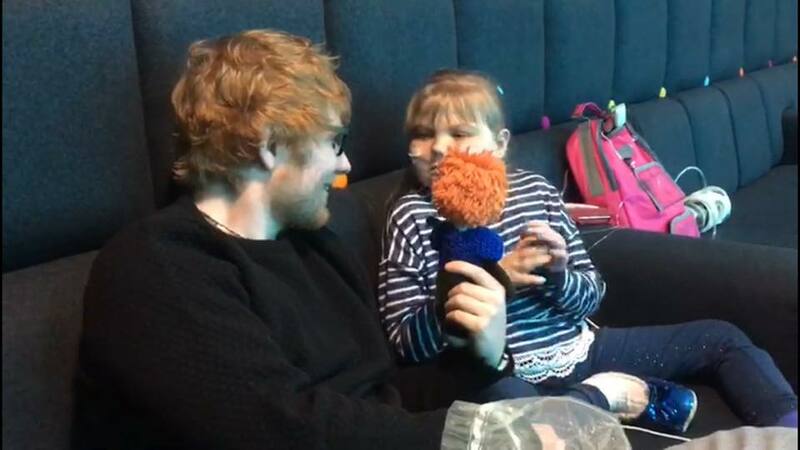 The singer visited Melody once before in hospital, and ahead of his gig at London’s O2 Arena, he invited her to his sound check and let her pick which four songs she wanted to hear. Because of how taken Melody is by Ed, her family joke that it was her second ‘date’ and that he is her ‘boyfriend’. It was the most amazing thing to watch. The love they have for each other is obvious for anyone to see. He even drew him and Melody on her cast, using a gold pen for their hair lol. And wrote ‘Love You’ on Melody’s wheelchair. To top the afternoon off, Stuart and Mark surprised Melody and us, by taking Melody to Ed’s Shop and allowing her to pick what she wanted to take home. Ed has even agreed a 3rd Date for his Princess. The gesture had an incredible effect on Melody and she looks forward to their third date.